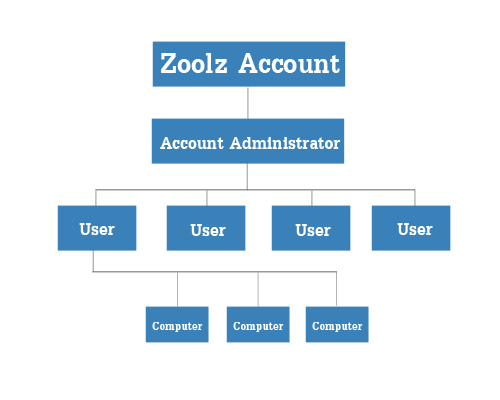 Every Zoolz account has an Administrator, under which normal users are listed. Each user can have up to three computers backing up to the account at the same time. Each user has their own login email and password. These are different than the account login (Administrator account) and have their own dashboard to view and manage their account. This is all controlled by the Administrator to apply limits or allow features. Only Business users can have up to 3 computers per user. Home users can only backup 1 computer per user. Servers can be added under the Administrator’s account only.